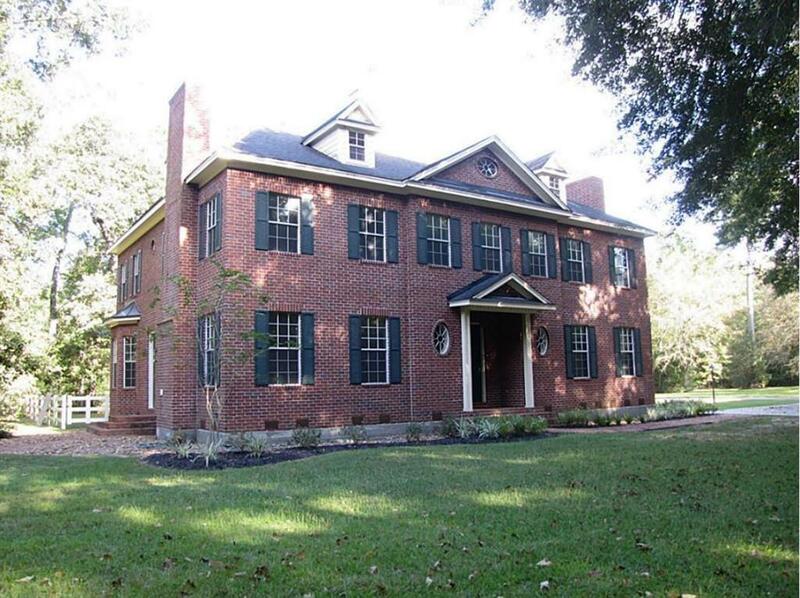 Beautiful home located in the Prestigious Wildwood Estate subdivision. 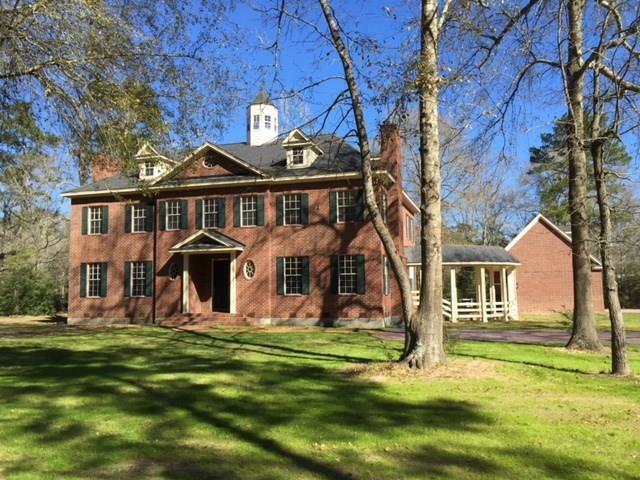 5 +/- gorgeous well kept acres w/a private gated entry.Stunning replica of George Washington's Mount Vernon.Captured in time & beauty!From the design of the house,the color of the paint,the architectural designed crown molding,unique light fixtures,block paneling,wainscot & the cupola you will be amazed! 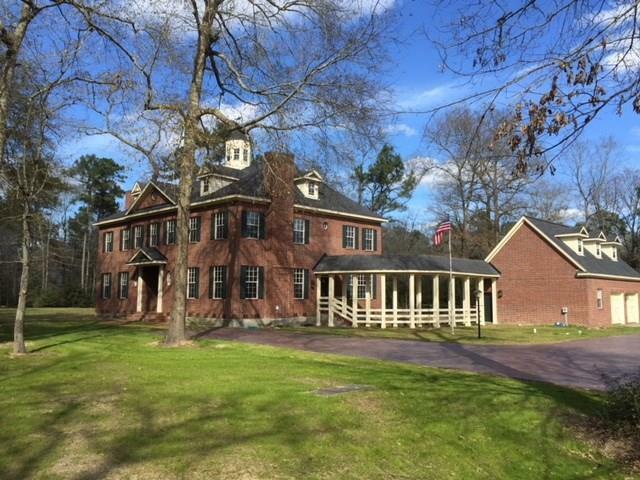 Large island kit w/plenty of storage,huge formal dining & living rms.Newly remodeled master bath w/Jacuzzi tub.. Beautiful, quiet block paneled library/study.Gas fireplaces in living rm, library/study and master bdr. 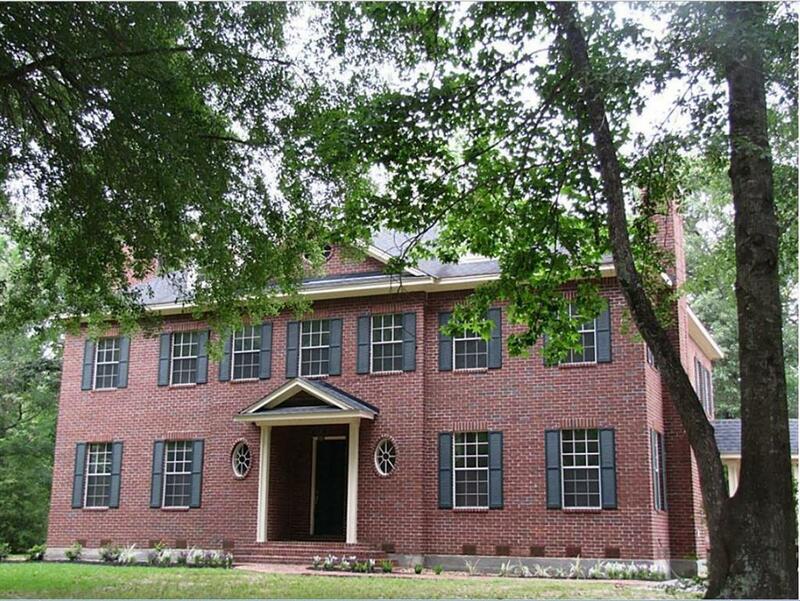 All bedrooms including the secondary bedrooms are oversized w/private baths & spacious walk in closets. Large laundry room on 2nd floor conveniently located near bedrooms. Tons of storage in the attic from one side of the house to the other. Also possible to finish this out if wished. Recent Water heater, carpet, & main A/C unit Solid concrete pier & beam construction. House has never flooded!